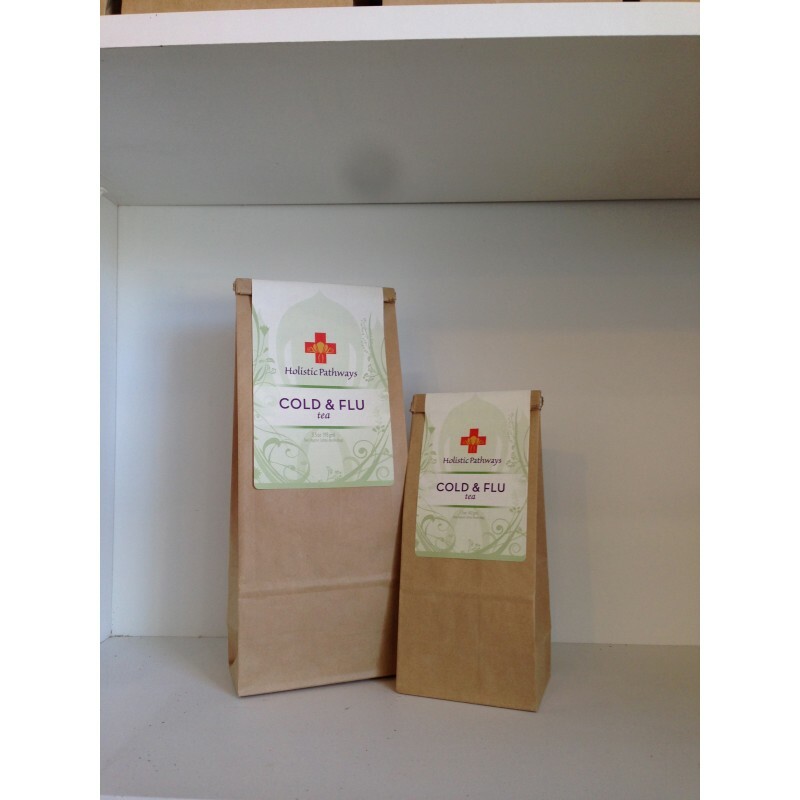 Indications: Ward off infection and boost your immune system with our Cold & Flu Tea. 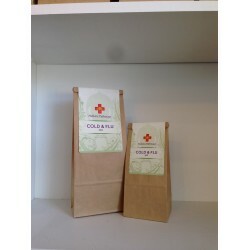 A delicious blend of antimicrobial herbs, this tea is strong and effective in keeping you healthy. Drink one cup daily as a preventative or 4 cups to shorten the length of an infection. Safe and yummy for children too! Directions: Fill reusable muslin tea bag with 1 tablespoon of herbs. Pour one cup boiled water over bag. Let steep 20 minutes and up to 6 hours. Drink up to 4 cups daily. Safe for pregnancy and children - use for less than 2 weeks.